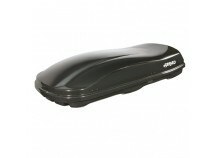 The online shop Semeubler.com offers you the possibility to rent roof boxes for various periods of time. Your roof box rental contract can last for 1 month, or 36 months at most. Our roof boxes are high quality products, which will allow you to significantly increase the storage and storage space of your car. As with all the items that our shop rents, our contracts are highly flexible in order to adapt to all your requirements. You can return the rented product to us, exchange it for a product that suits you better, or change the rental terms. 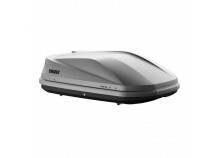 Renting a car roof box is the ideal solution for many problematic situations. Are you going on holiday and have a lot of luggage to carry? Do you want to move supplies when moving? Do you have to transport bulky equipment for your work? Whatever your situation, the roof boxes offered by SeMeubler.com will provide you with a quick and efficient solution. The car roof box is a component that is attached to the roof of a vehicle using roof racks to allow the transport of additional luggage. Each car roof box that we offer for rent has precise technical characteristics, which will provide satisfactory answers to your needs. Why rent a roof box? As essential as it is, a car roof box is not an object whose need is necessarily felt every day. In these circumstances, the question is whether a purchase is necessarily the most appropriate decision. Why make a major investment when you can simply rent a roof box for the necessary period of time? Rental allows you to pay only for the price of using the equipment. This is one of the many benefits of renting supplies. Our service is entirely designed to provide you with complete satisfaction. No reason to hesitate, choose rental and enjoy a high quality roof box for a fraction of its purchase price. We will send you the box and you will only have to install it on roof racks.